"The Majestic, a Midtown hotel located at 210 W. 55th Street and formerly the Woodward Hotel, is a beautifully restored first-class hotel. 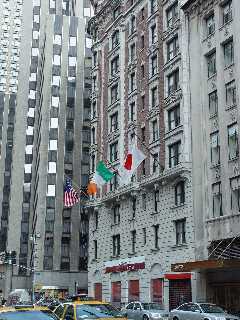 Built in 1904, the beaux-arts hotel is near Broadway Theatres, Central Park, Carnegie Hall, and Radio City Music Hall." Related photo tours for the Majestic New York Hotel. Most recent first. Links open in a new window.